The US recording industry is taking legal action against 750 computer users believed to be distributing music illegally over the internet. Students at 13 universities are among those targeted by the Recording Industry Association of America (RIAA). Another 213 people who were identified earlier but failed to settle their cases are also being sued. Record companies have taken action against a total of 6,191 illegal song swappers since September 2003. 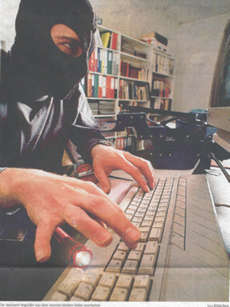 As with preceding cases, the fresh action was made against so-called "John Doe" defendants, who are identified only by the codes given to their computers' internet connections. Record industry lawyers obtain the identity of suspected illegal users through their internet service providers. Some 1,207 defendants to date have settled their cases out of court, according to the RIAA. Settlements have warranted penalties averaging $3,000 (£1,635). Some research has shown that illegal file-swapping has declined since the rash of legal action - but millions are also thought to be sharing film material without permission. The British Phonographic Industry (BPI) followed the US lead earlier this month, announcing it was taking legal action against 28 file-swappers. It said it was concentrating on "major uploaders", who share their illegal music files with others. Hundreds of cases have also been launched across Europe in a bid to halt the tide of copyright infringement.